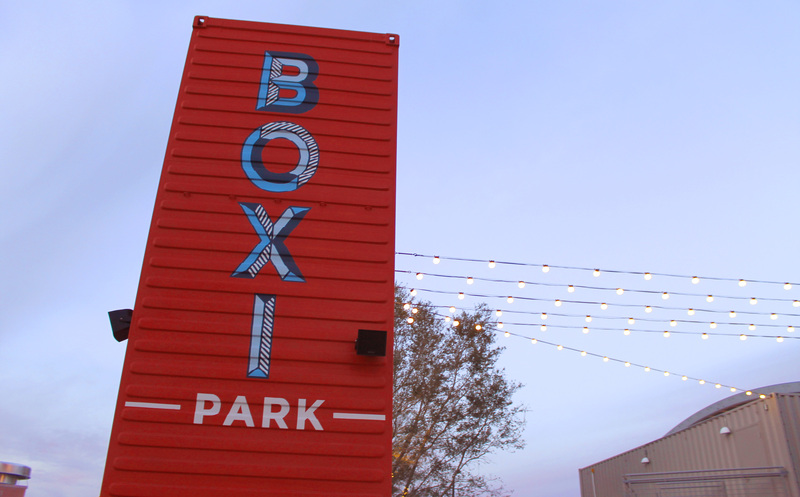 Boxi Park arrives in Lake Nona with a new and unique vibe. With hopes to create their own style, Boxi Park created an outdoor community space solely made of shipping containers. 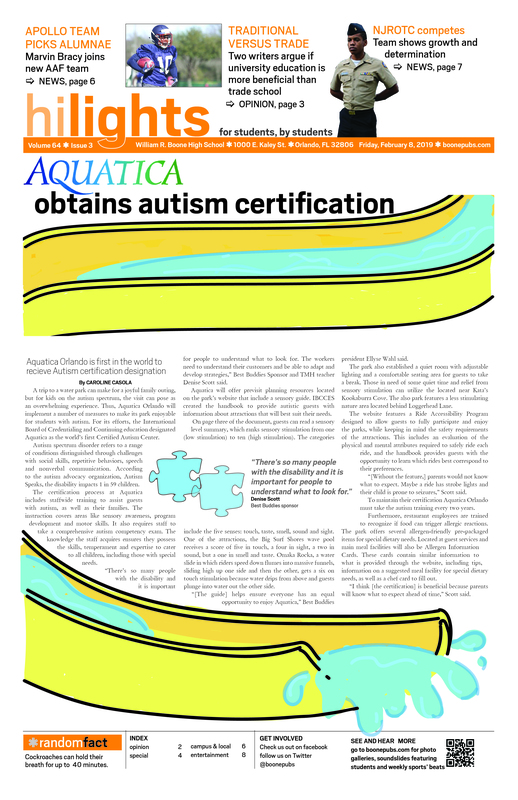 The park hits it on the spot for creating an eco-friendly and clever ‘outside of the box’ layout. Immediately once inside, locals are greeted with friendly staff and employees. Throughout the park, decorative lights are hanging in the air and vibrant flowers. Each outdoor counter-serve restaurant or shipping container is decorated uniquely to match their logo or theme. 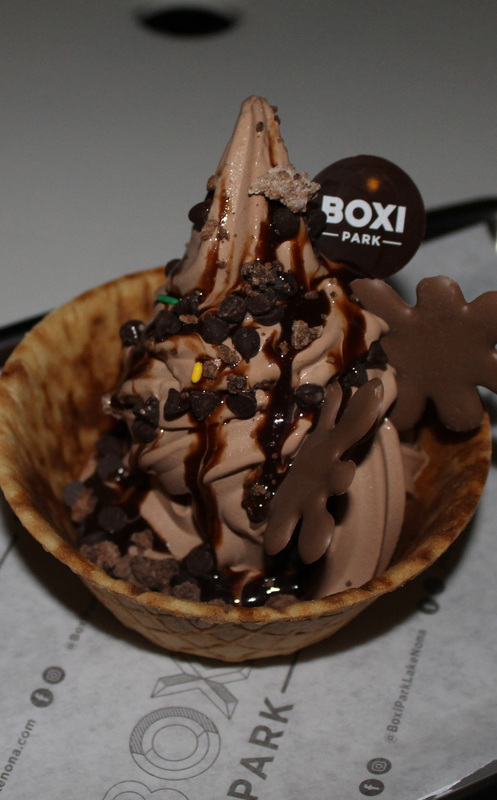 If one is looking for a wide variety of foods ranging from appetizers to full meals, Boxi Park is the place to go. From chicken to burgers and to seafood, pressed juices and ice cream, Boxi Park serves their customers a small taste and background of how they create different cultural or classic dishes. Each restaurant has and is able to distribute a distinctive taste, leaving customers jaw dropped. The new restaurants Boxi Park introduces to locals consist of Claw and Order, Cañonita Street Taqueria, Fowl Play, Fresh Pip, The Grill Next Door and Before It Melts. Not one restaurant listed here sells or produces the same food or style. The restaurants feature world class chefs with Michelin-rated restaurant experience, dedicated to putting their passion and personal spin to each meal. To fill in some blank spaces of what each counter-serve restaurant sells, here is a quick rundown on the restaurants themselves. Claw and Order serves their take on delicious seafood sandwiches served on a brioche bun and customers have the choice to add their infamous waffle fries for an extra $2.50. A good choice to start with at Claw and Order would be the East Side Lobster sandwich($11). With sandwiches varying from lobster, crab and shrimp, Claw and Order really knows how to spice up sea life on shore. Next, Cañonita Street Taqueria brings their creative and mini tacos to the stand. If you are looking for a sweet but savory mini taco to try the Sweet & Crunchy Barbacoa($3). With the choices ranging from veggie, steak, pork, chicken and fish, nothing is as loco and distinctive as Cañonita Street Taqueria’s tacos. Fowl Play offers scrumptious but classic buttermilk breaded chicken sandwiches. Add a kick of their savory and spicy homemade dips paired with their skinny fries is revolutionary. Another restaurant geared mainly for those looking for a healthier meal, Fresh Pip is the perfect match. With their creative touch on salads to go, Fresh Pip serve their salads in a mason jar filled with the customer’s choice of veggies, proteins, beans and carbs. Not interested in a salad, pressed juices, antioxidant shots and a variety of regular healthy beverages are out on the market. An outstanding, but perfectly seasoned burger joint makes their appearance in Boxi Park. The Grill Next Door serve satisfying and just the right size burgers. In need of a classic but unique twist on burgers, the Bacon Double($8) at The Grill Next Door is a good choice to begin with. Lastly, with all these entree choices, dessert is never forgotten. Before it Melts begin with any old-fashion favorite soft serve, with the customer’s choice of house made toppings. Get fancy with your dessert with toppings or customers have the ability to choose a chef-concocted masterpiece that mixes the best flavors and toppings in one. The Double Chocolate Monster($5.50) at Before it Melts is a chef-concocted masterpiece that will not disappoint. Do not fret, while the restaurants do not sell drinks, in the middle of the park customers and locals are invited to BarNona. Where adults looking for an alcoholic drink can pay for one, or those under the age of 21 can buy drinks starting from lemonade and various sodas. While the whole aspect and set up of the park allows guest to sit and eat freely, waiters and waitresses do make it their goal to come to the guests table and offer any refills or to retrieve any empty plates. 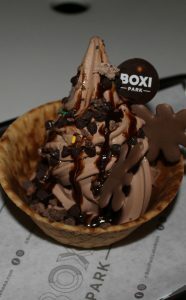 Boxi Park is not essentially food oriented, as band or singer plays live music until 8 p.m. then a D.J. is brought out to spice the night up. The park is 100 percent dog friendly and invites children and young adults to have fun. There is a playground for the little ones to play and meet new kids their age. As well as a beach volleyball court, for those looking to enjoy a fun and competitive evening. 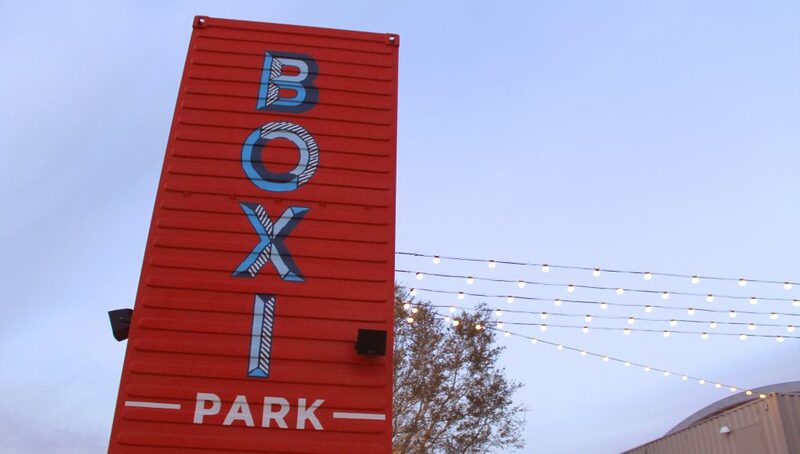 As Lake Nona’s creative and diverse culinary options continue to expand, Boxi Park serves as a worthwhile addition to the area. Most importantly, the food is everything anyone can imagine. The atmosphere provides an eventful, but laid-back setting that offers a range of menu items for guests to enjoy and indulge on.